It’s called the Day of Humankind. 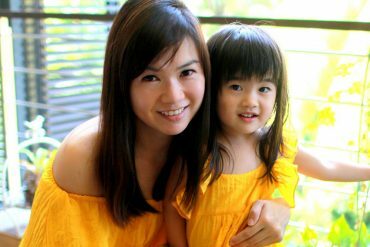 Renri which falls on the seventh day of the Lunar New Year, marks the day when the goddess Nu Wa created human beings. Hence it is also known as the common birthday of all humans. This year it falls on 11 February. The custom of celebrating Ren Ri is an ancient tradition that dates back to the Han Dynasty. Fireworks and firecrackers would be lit to mark the joyous occasion. Emperors would hold festivities for their loyal subjects, people would gather to drink and compose poems and even prisoners would be spared from punishment on this day. Good weather on Renri meant a prosperous and peaceful year ahead. 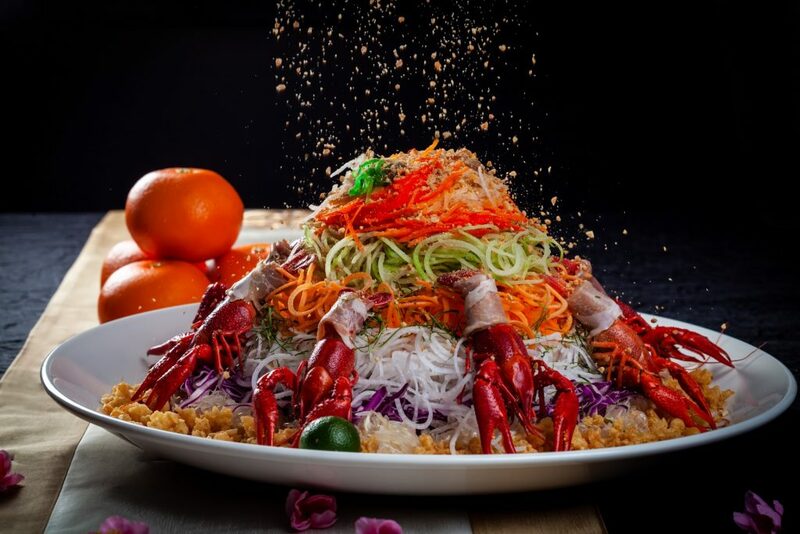 While some traditionalists still prepare special dishes on this day, like seven-vegetable soup or congee, in Singapore it’s more common to kickstart the Renri celebrations with seven-coloured raw fish (also known as yusheng). Most now use this common birthday as yet another joyous excuse to get together to feast. Afterall most of our bonding is done over a good meal, rather than prose and wine. Here’s our list of dine-in suggestions amd takeaway picks for merry feasting – happy birthday to all. The Year of the Pig is associated with wealth, luck and indulgence and it’s inspired Chef James from Park Hotel Clark Quay’s festive menu which features different types of ham. One must-try is definitely the chef’s Money Bag – golden brown beancurd pockets stuffed with chicken, mushroom, bamboo shoots and Jin Hua ham, one of the world’s best-cured meats. 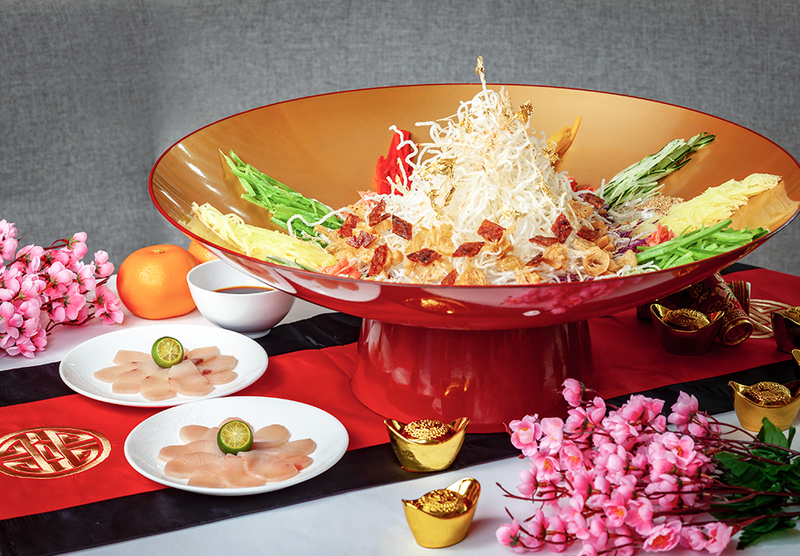 We also definitely recommend the Auspicious Abundance Yu Sheng, that is topped with yabbies wrapped in Parma ham. The set menu is available till 19 February 2019. A definite talking point at any table, and a sure pleaser for kids and those who love their desserts. 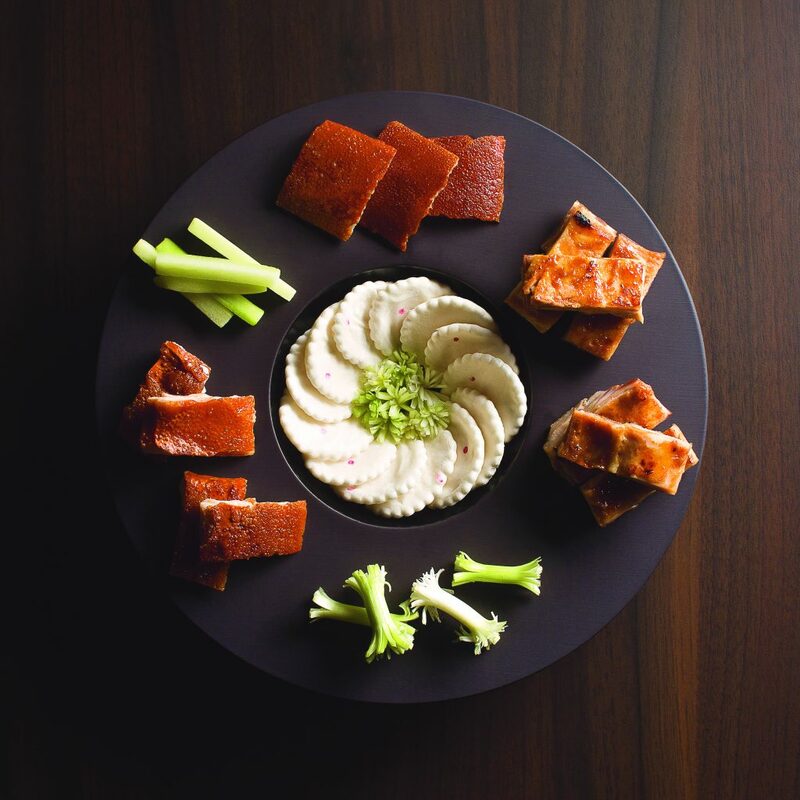 The pâtissier’s sweet twist on the classic savoury fish platter is nothing short of theatrical. 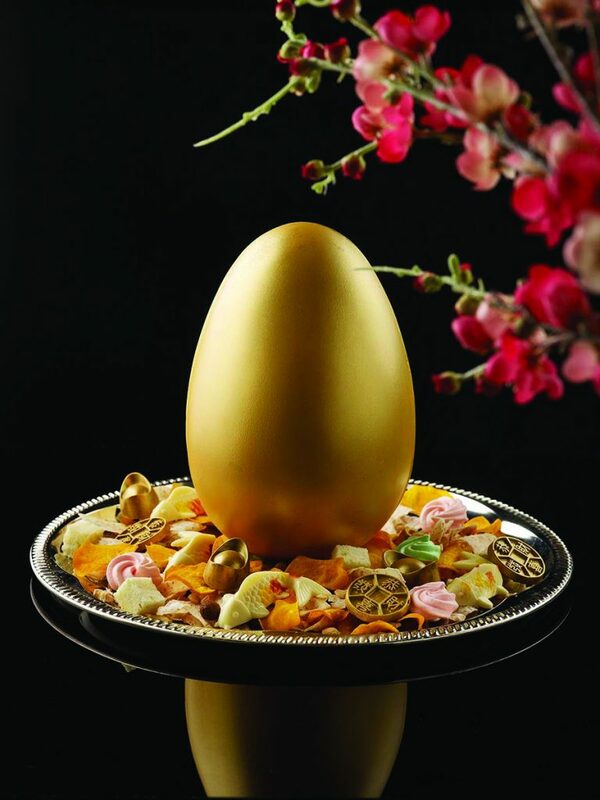 Encased in a golden milk chocolate egg are treats like honey pineapple, Thai green mango, red dragon fruit and pomelo. It sits on a nest of more tasty goodies like five-spiced almonds, mandarin butter cake and meringue kisses. There’s also white chocolate carps and milk chocolate gold coins. The dressing? 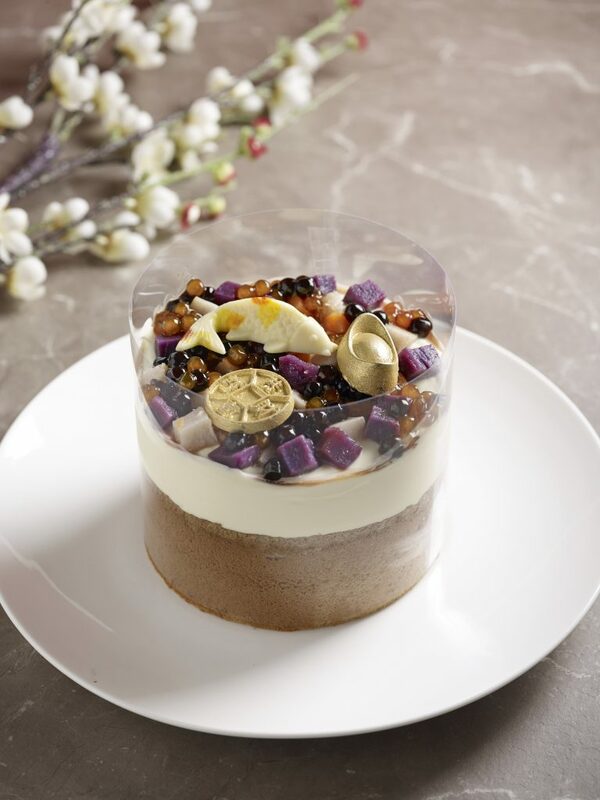 A decadent drizzle of plum and gula melaka, with tart mandarin orange to balance out the sweetness. Another must-order is Abundantly. 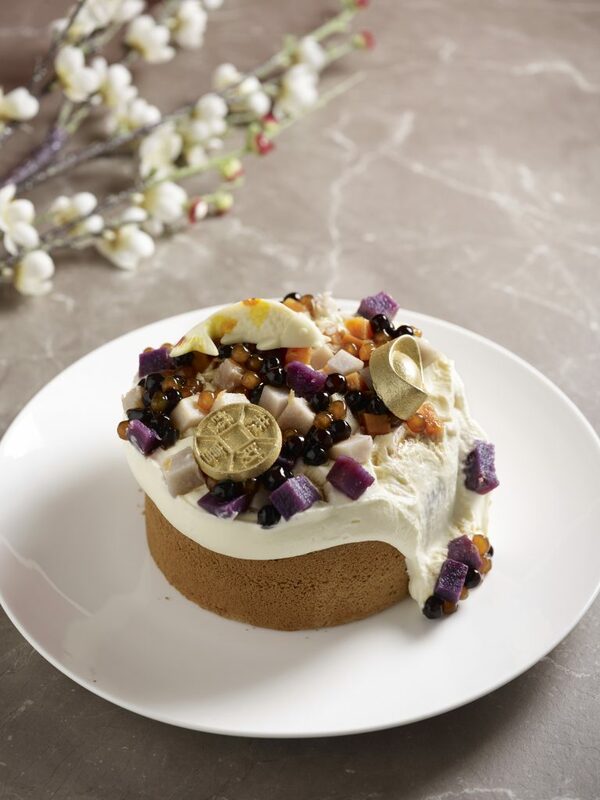 Here purple sweet potato chiffon cake is covered with tapioca bubbles, salty cream cheese foam, black sesame feuilletine and candied sweet potato and yam cubes. 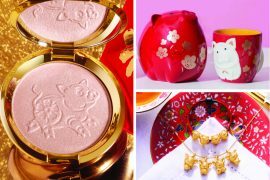 It’s topped with a gold covered chocolate coin, an ingot and a white chocolate carp. Release the cake film that holds the dessert together, and all the toppings spill forth, giving this scrumptious dessert its namesake. 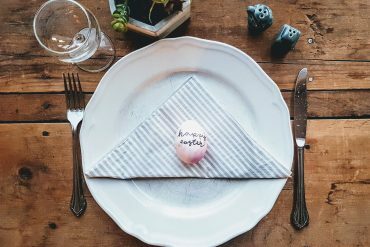 Both desserts are available till 19 Feb 2019, you need to give a three-day notice for the golden egg order, and a day’s advance notice for the cake. 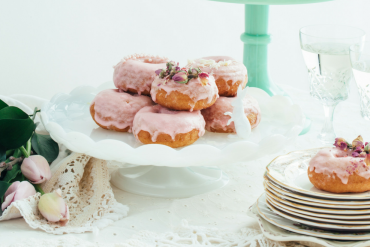 Kids and adults alike will get a kick out of this pretty and whimsical platter that is perfect for home parties. Apart from the traditional ingredients typically found in Yu Sheng, there are unique additions like mochi, lotus root chips, crispy yam, candied bacon, beetroot and watermelon radish, and a delicious plum and yuzu sauce. Choose from three types of fresh and thick cut sashimi: swordfish, hamachi or salmon. 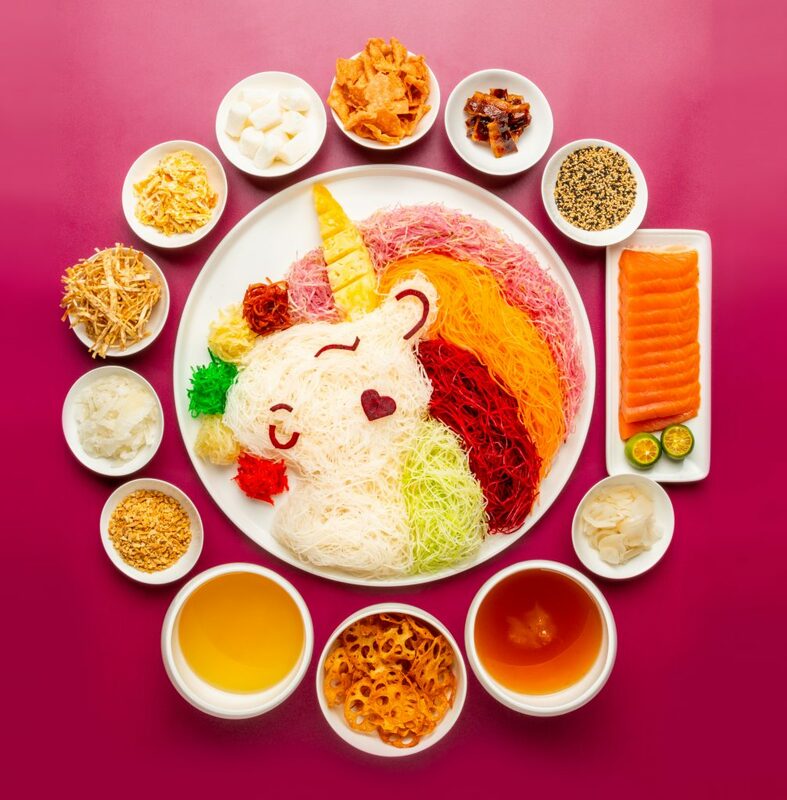 The Unicorn Prosperity Yu Sheng comes in two sizes – medium (feeds five) and large (feeds 10). You can also choose the special deals that bundle it with assorted drinks. Available from now till 18 Feb 2019, 5pm, orders need to be made one day in advance. Purists will dig the Yusheng platter from the One-star Michelin restaurant. A medley of crunchy veggies, sweet candied fruit and fragrant aromatics like ginger and lemongrass, it’s topped with salmon and sprinkles of seaweed. 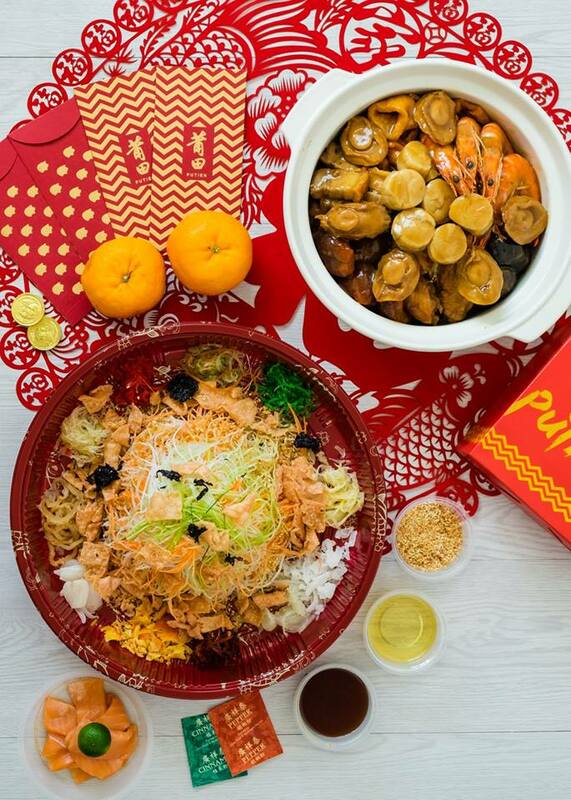 Splurge and get the auspicious bundles that pairs yusheng and pencai together. Putien’s Pot of Goodies is chock filled with top-grade ingredients like sea cucumber, dried clams and prawns, beautifully layered in a pot and simmered in stock for eight hours. Pick from Abalone ($338 for 6 pax; $538 for 10 pax) or Seafood Treasures ($268 for 6 pax; $428 for 10 pax) options for this great combi deal. Available for dine-in or takeaway until 19 Feb 2019, put in your orders three days in advance by calling in to any of the Putien outlets. Feast on Cantonese classic dishes with Yàn’s Lunar New Year Set Menu. It features dishes like Steamed Sea Perch Fillet with XO Sauce, Steamed Half Lobster with 18-year old Nu Er Hong Rice Wine and the restaurant’s Signature Roast Crispy Suckling Pig – served in three delectable ways. The colour of the crisp skin is red to signify good luck, while the Suckling Pig Carved Shoulder and Oven-baked Pig Fillet with Lemongrass represents happiness and prosperity respectively. Auspicious ingredients like lobster and fish also feature in the spread. Or take home Yàn’s Harvest Pen Cai ($190 for 5 pax) – a savoury pot of prosperity. It includes braised gourmet delicacies such as prawns, sea cucumber and a whole conpoy(scallop). You can also add on whole abalone ($12 per piece). In celebration of the Year of the Pig, the Pen Cai features pig trotters, roast pork and dried pig skin as well. Only available for takeaway, orders have to be made two days in advance. To place an order, call 6384-5585. 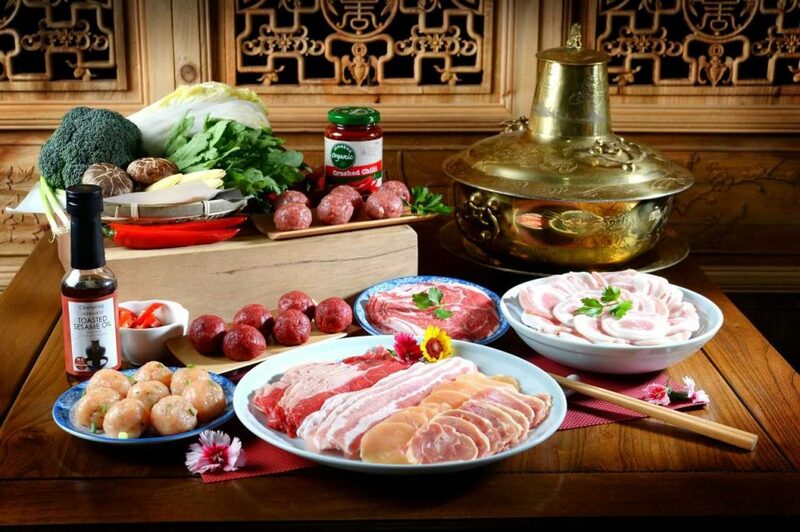 Get your meat sets at Ryan’s Grocery store for a fuss-free steamboat session with the family. There are two different meat sets on offer: Pork or beef. The Pork Set ($34.80) comes with two portions of pork collar shabu shabu, pork belly shabu shabu and complimentary Seamore sea bacon. Those looking for a healthier option, will be pleased that there is an Organic Beef Set ($118.80). The set has primal cuts such as black angus beef brisket shabu shabu, beef striploin shabu shabu and it comes with complimentary Borrowdale Free Range Pork Bones and Seamore sea bacon.